Before the Treaty of Waitangi was signed in 1840, Māori and British settlers lived within their own cultures. Pākehā–Māori (Pākehā who lived in Māori communities) were among the first bicultural people, who were comfortable in both groups. After the treaty was signed, the settler population grew to outnumber Māori. British traditions and culture became dominant, and Māori were expected to adopt Pākehā culture. From the 1970s a renaissance of Māori culture began, and Māori protested about issues such as land loss and breaches of the treaty. In 1975 the government set up the Waitangi Tribunal to investigate contemporary breaches, and from 1985 the tribunal could consider historic claims going back to 1840. In the 1980s the government began to describe the treaty as New Zealand’s founding document. 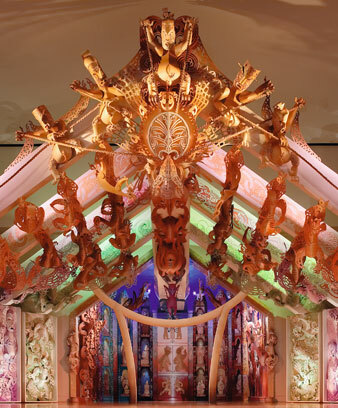 Government agencies began to recognise the languages, cultures and traditions of both Pākehā and Māori, and some government reports advocated biculturalism. In 2011 most government agencies had Māori as well as English names, and traditional Māori welcome and farewell ceremonies were often performed at official functions. The idea of biculturalism is debated. Some people think New Zealand should be a multicultural society that officially recognises the cultures of many different peoples, not just of Māori and Pākehā. Others think that biculturalism doesn’t go far enough in supporting Māori culture and self-determination. They argue for separate Māori institutions, such as a Māori justice system or a separate Māori House of Representatives in Parliament.